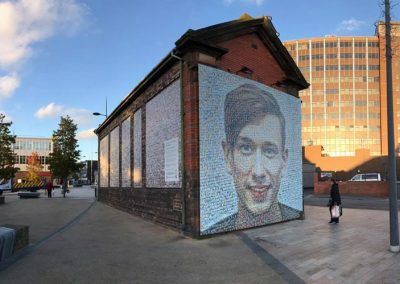 Stoke-on-Trent Electrical Substation & former Harvey’s building, Hanley. 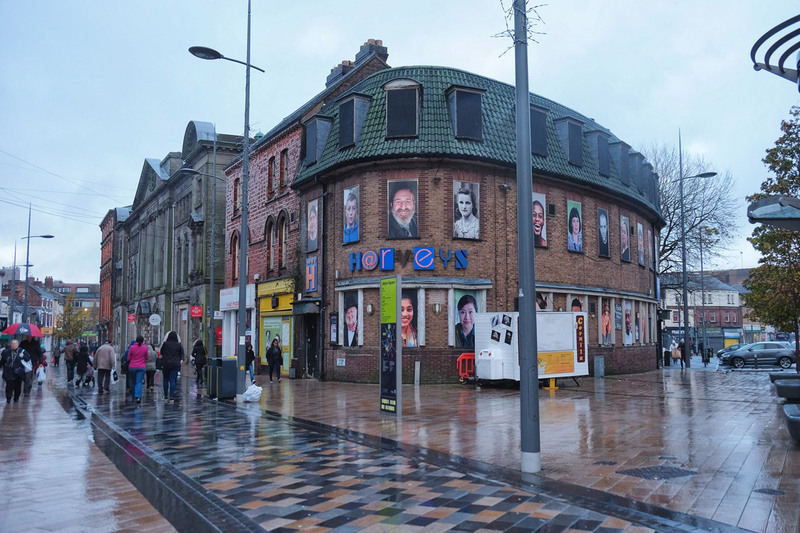 Courtesy of 360 Picture UK www.360picture.uk. 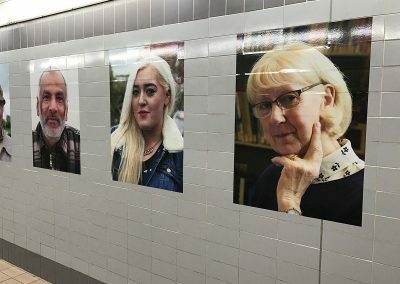 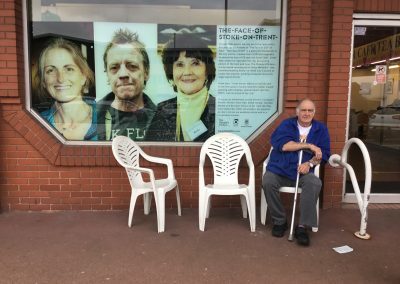 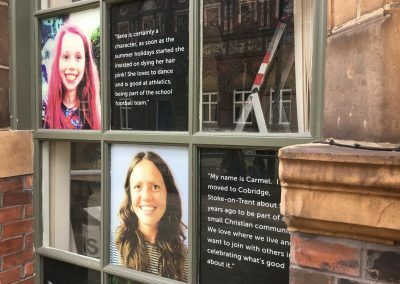 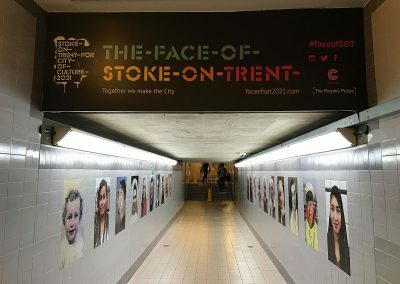 People from across the city were featured in five pop-up exhibitions as ’The Face of SOT on Tour’. 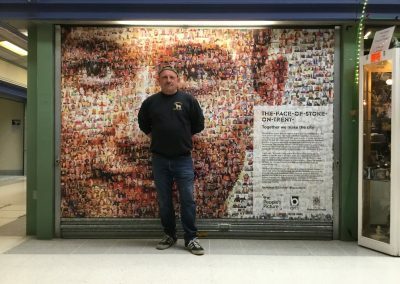 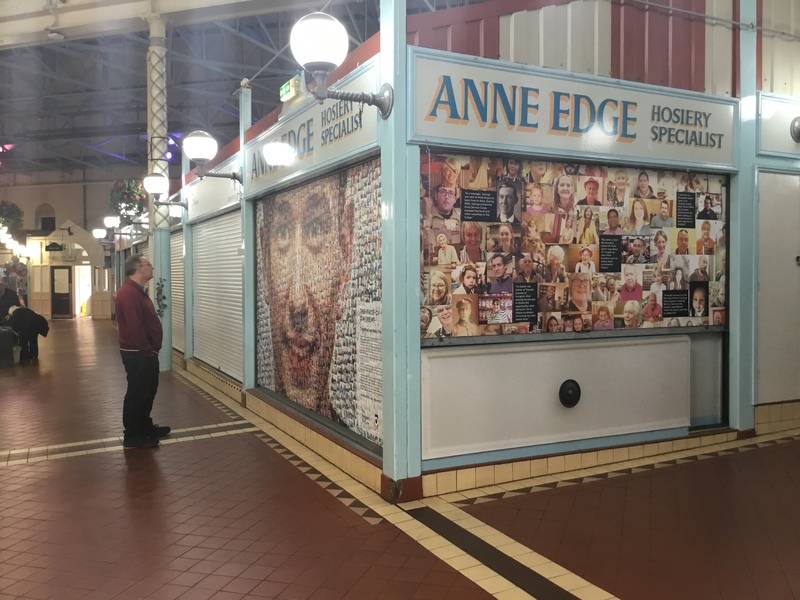 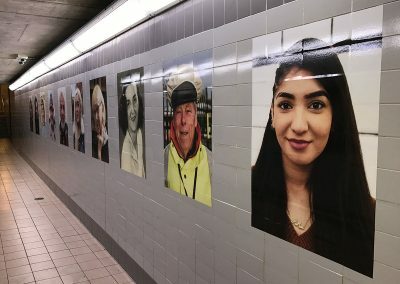 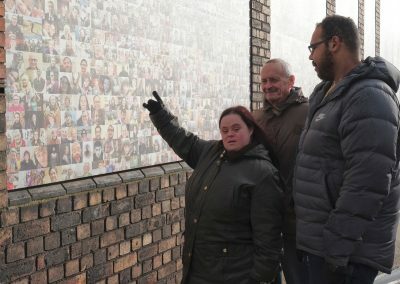 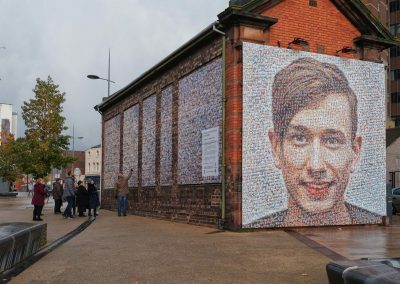 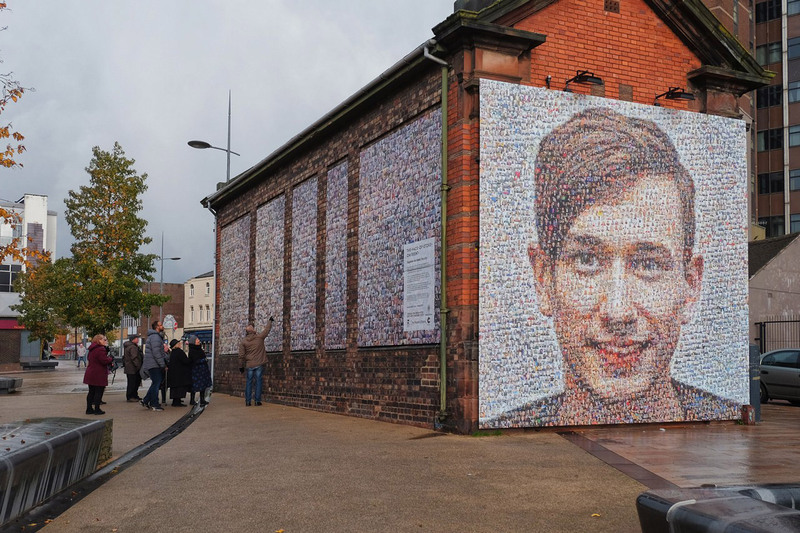 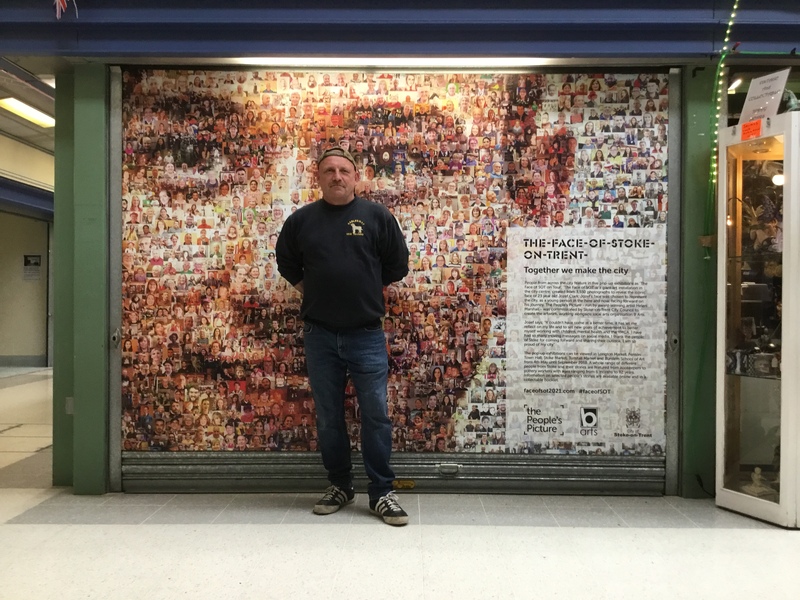 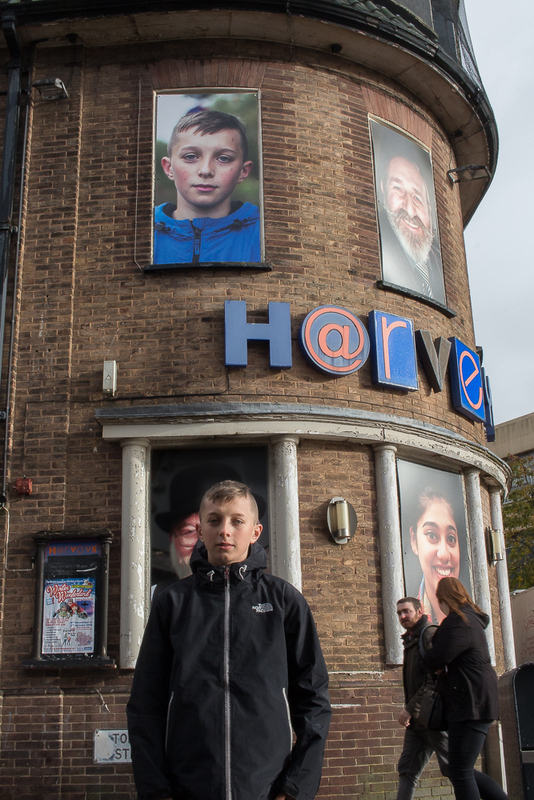 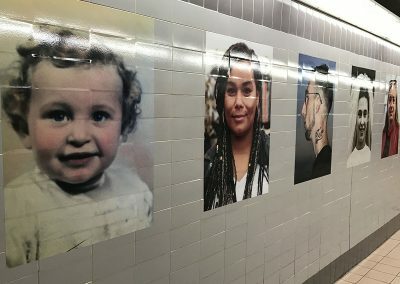 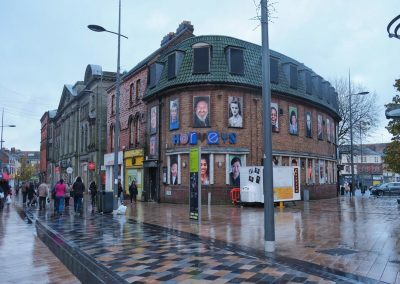 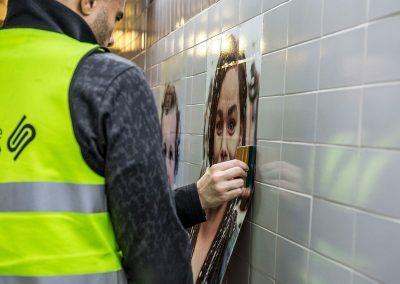 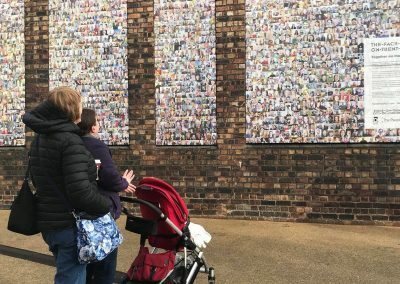 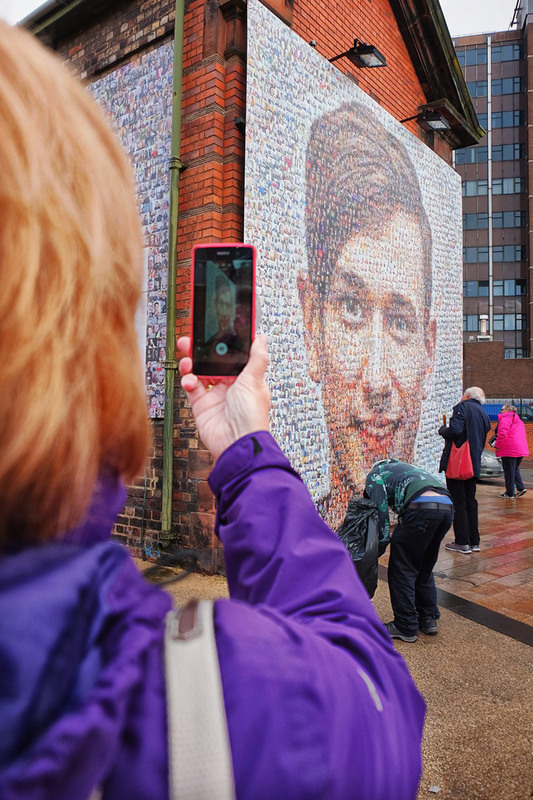 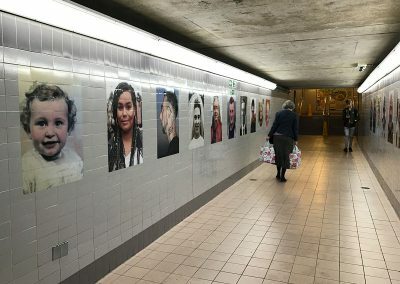 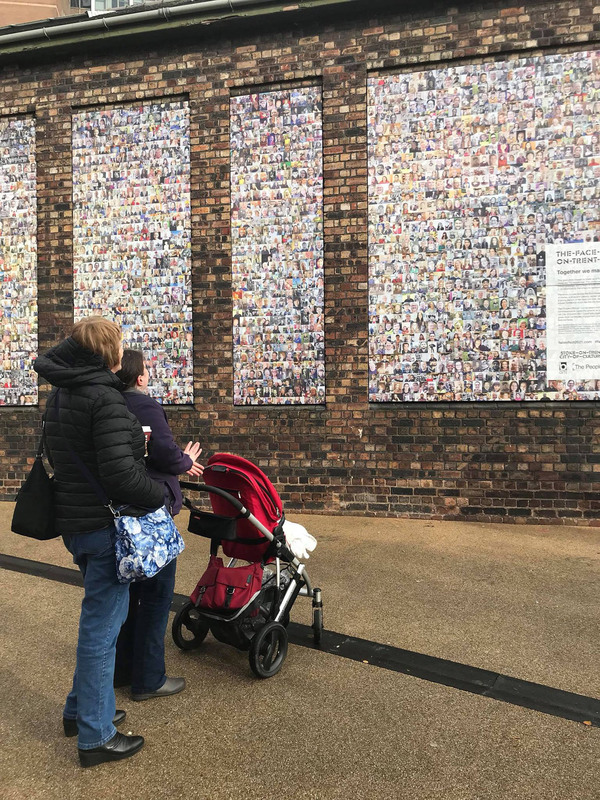 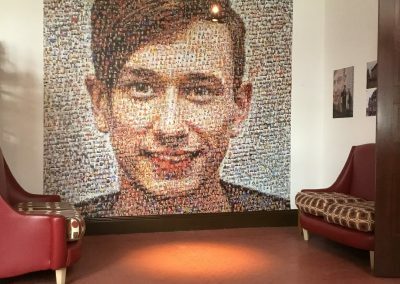 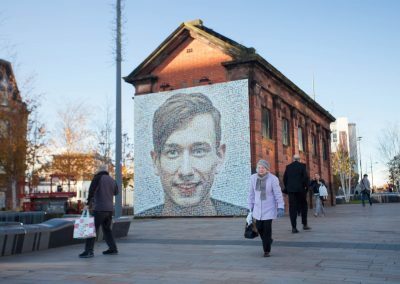 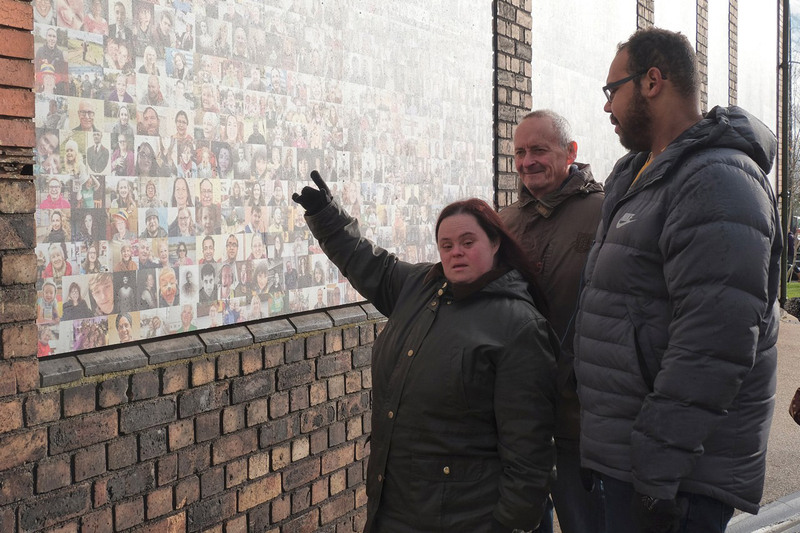 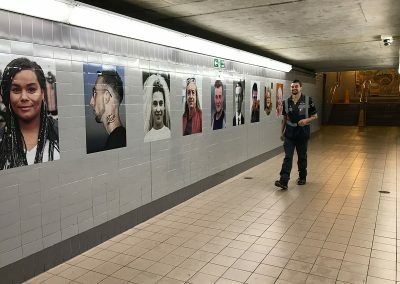 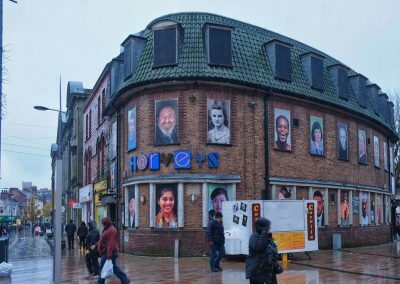 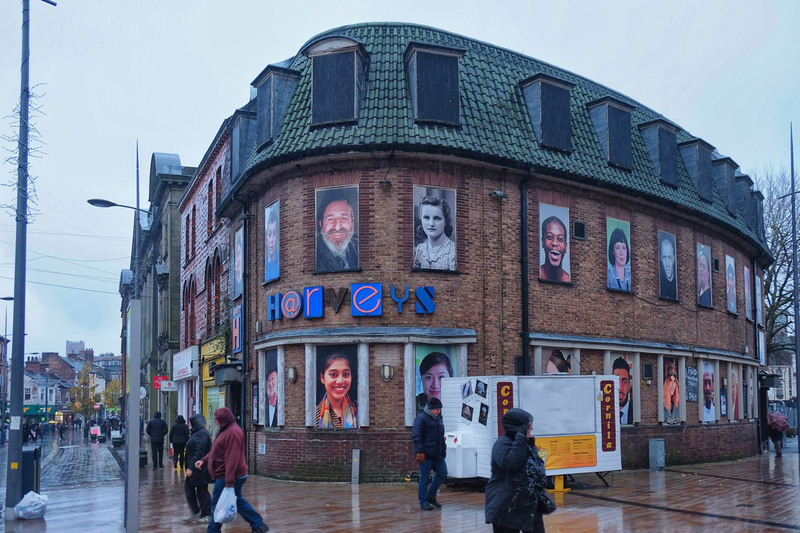 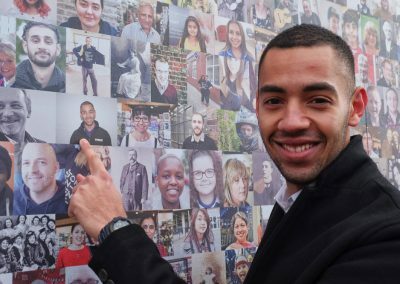 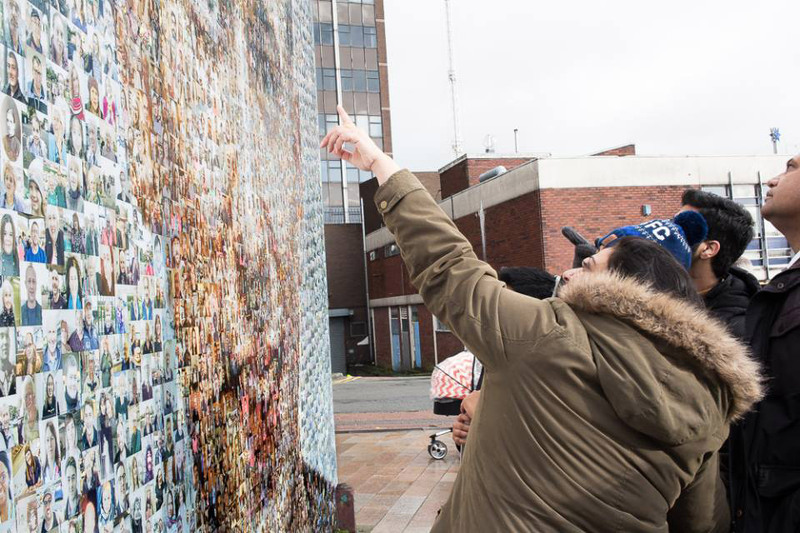 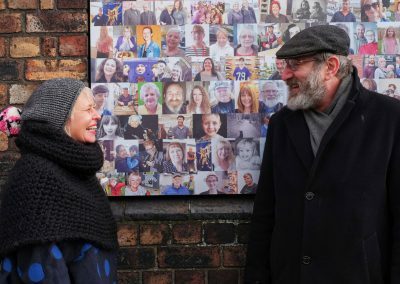 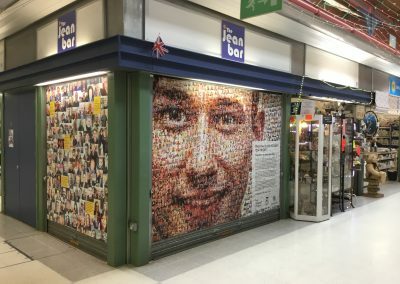 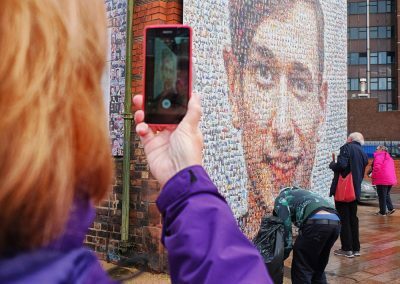 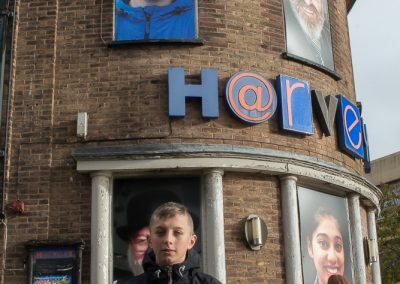 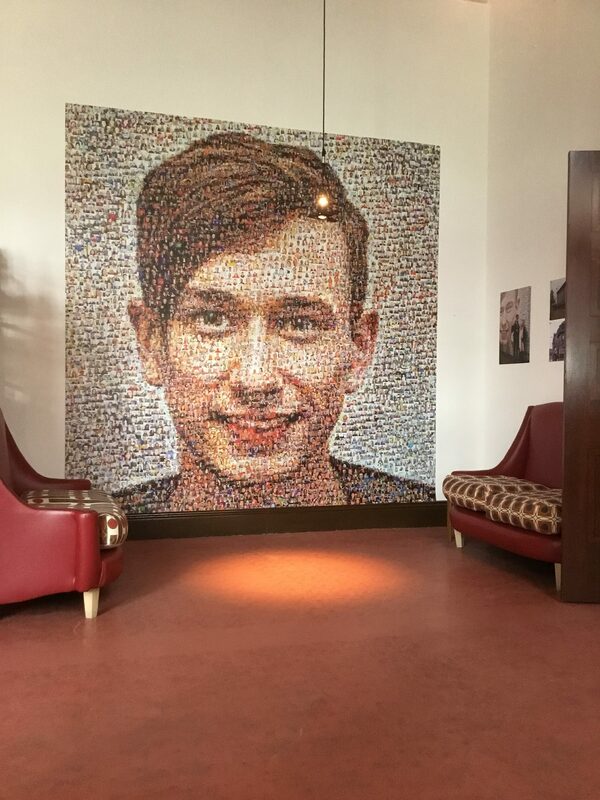 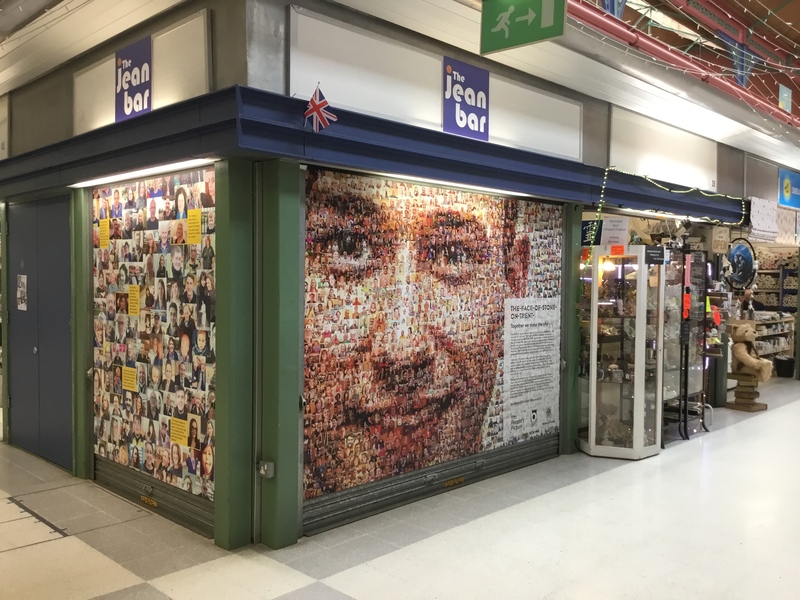 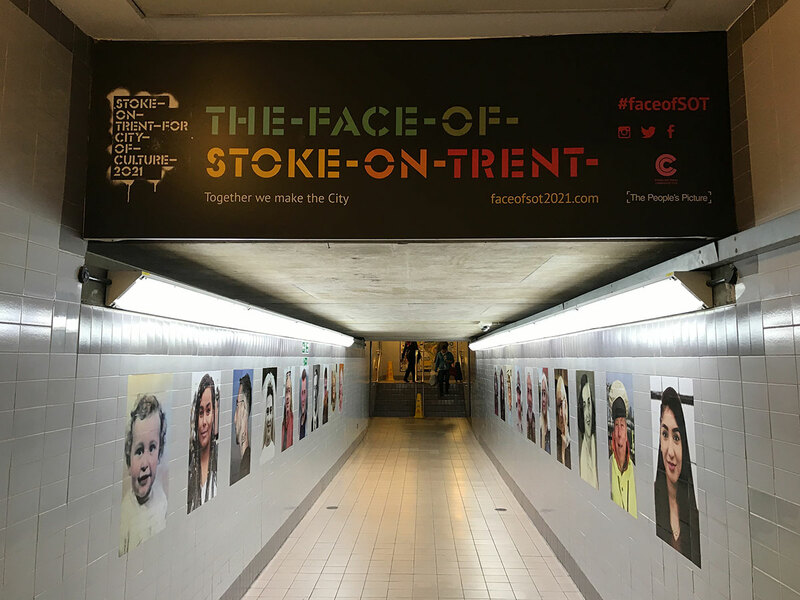 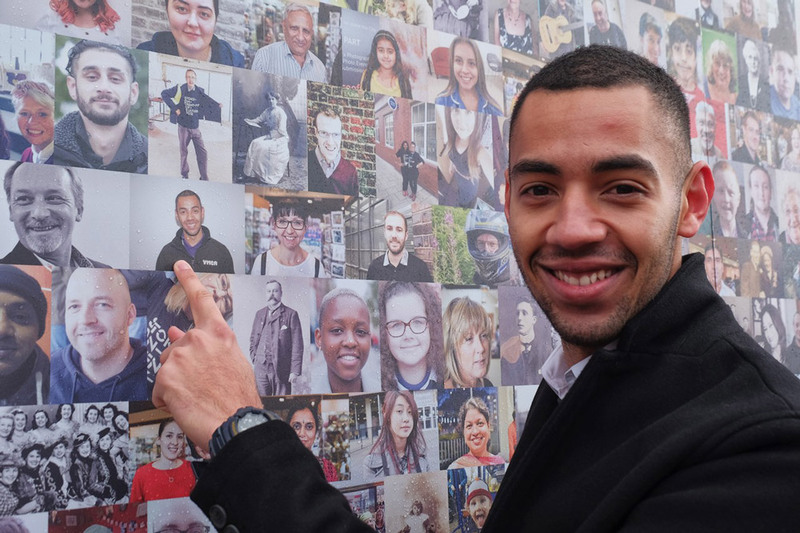 ‘The Face of SOT’ is a giant art installation in the city centre, created from 3,550 photographs to reveal the iconic face of 23-year-old Jozef Clark. 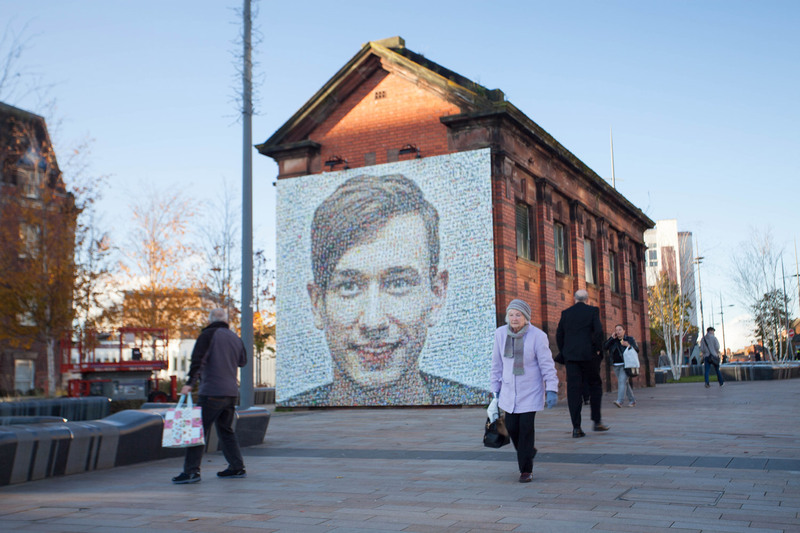 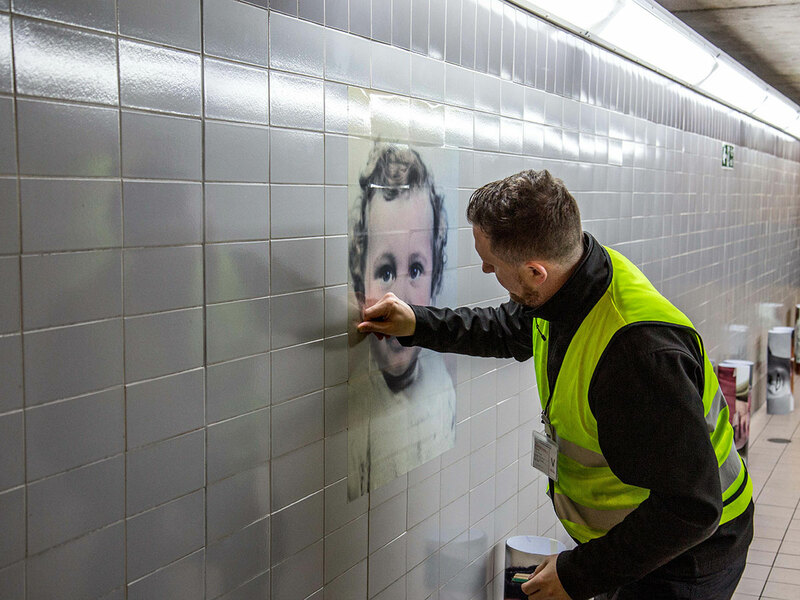 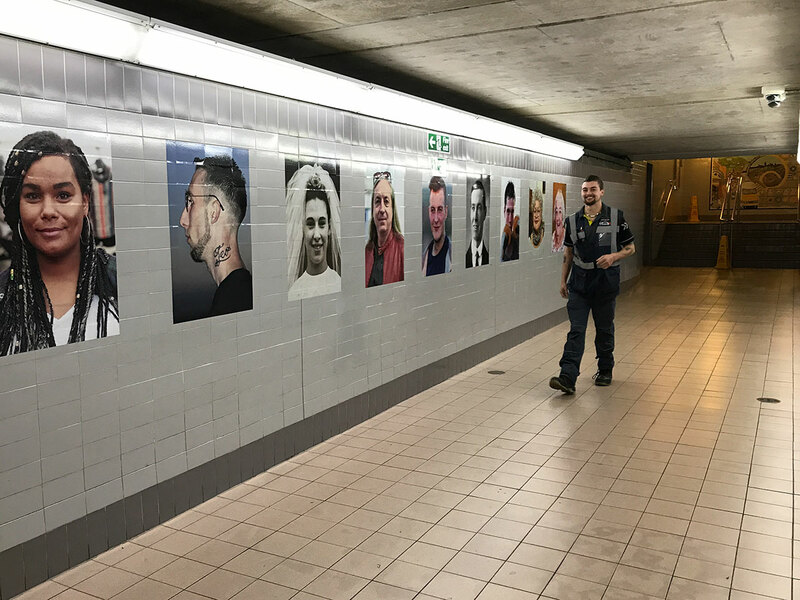 Jozef’s face was chosen to represent the city, as a young person in the here and now, facing forward on his journey. 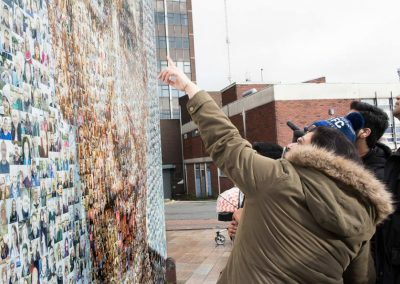 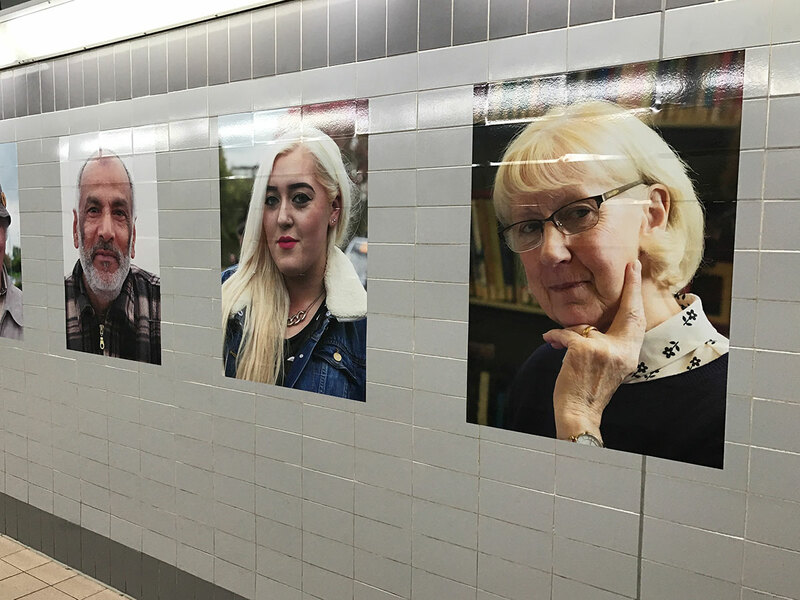 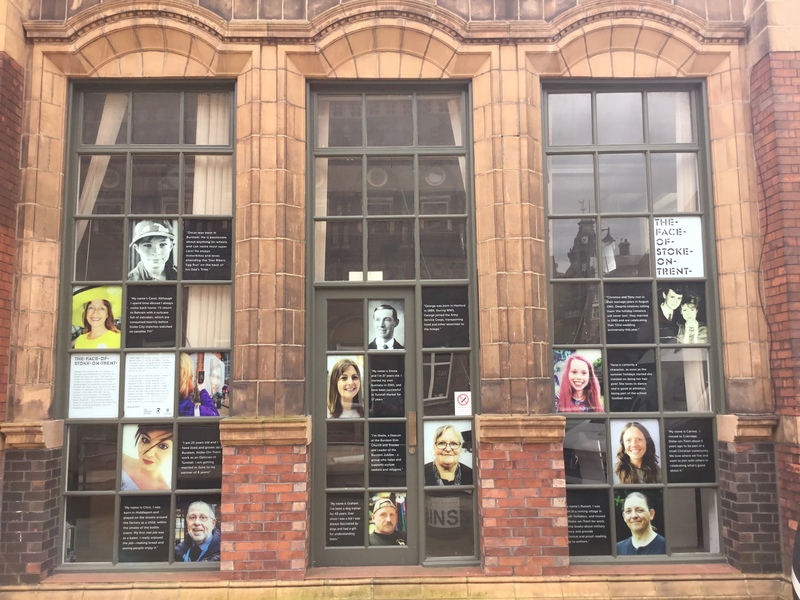 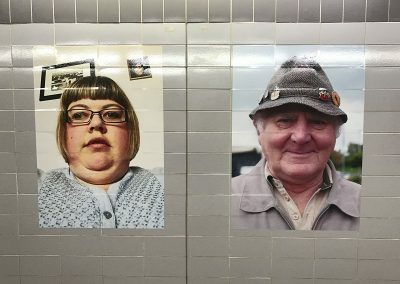 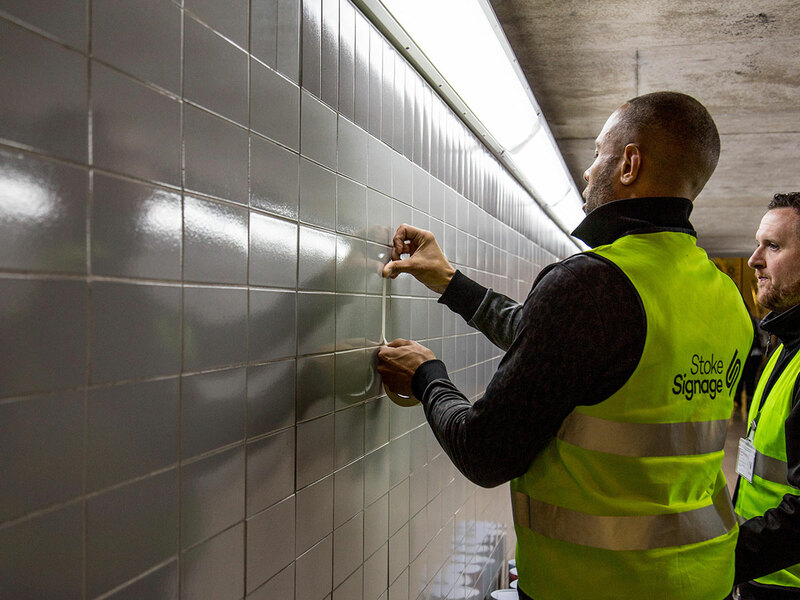 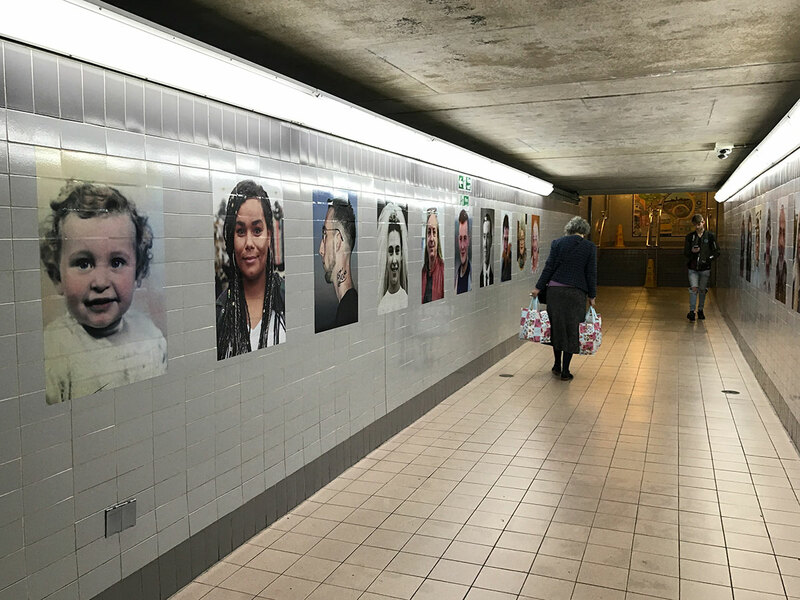 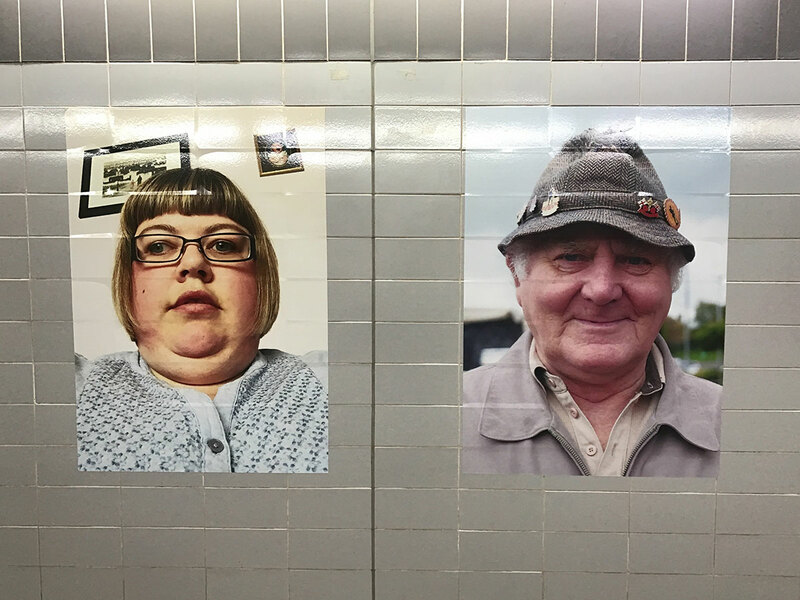 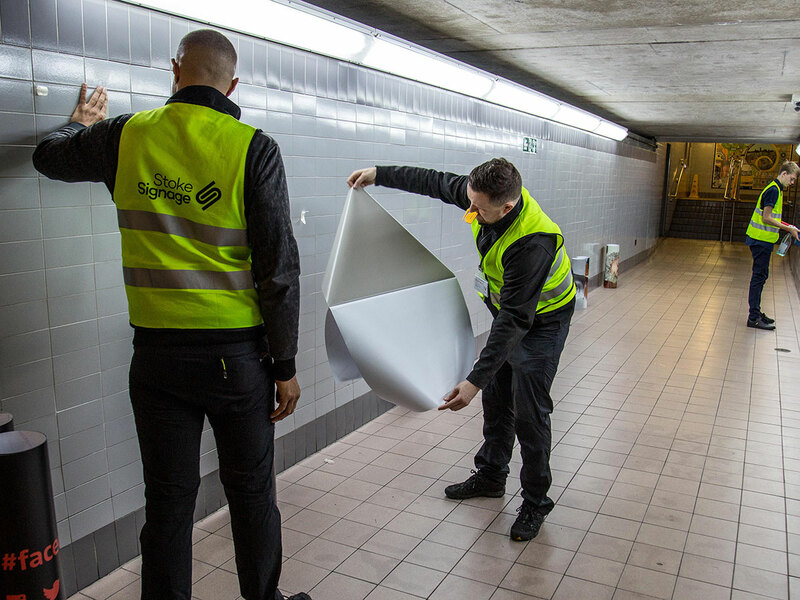 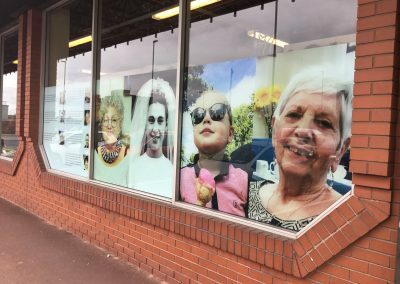 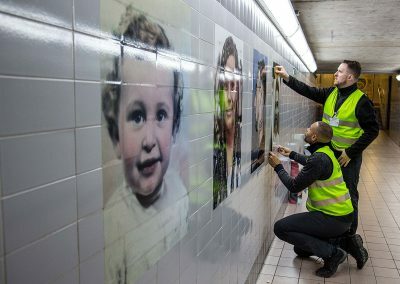 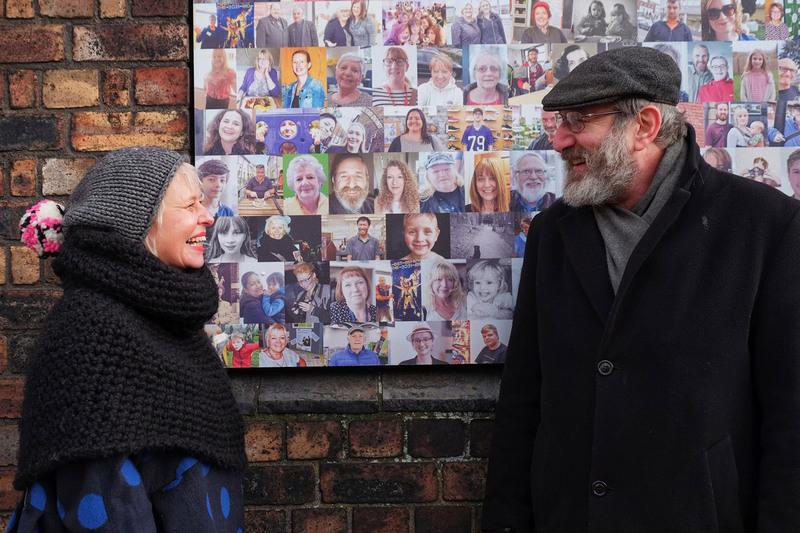 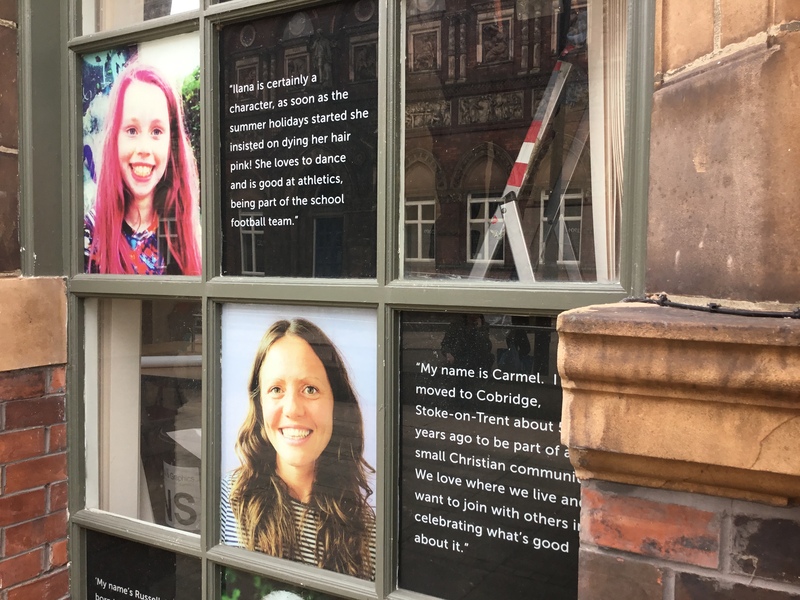 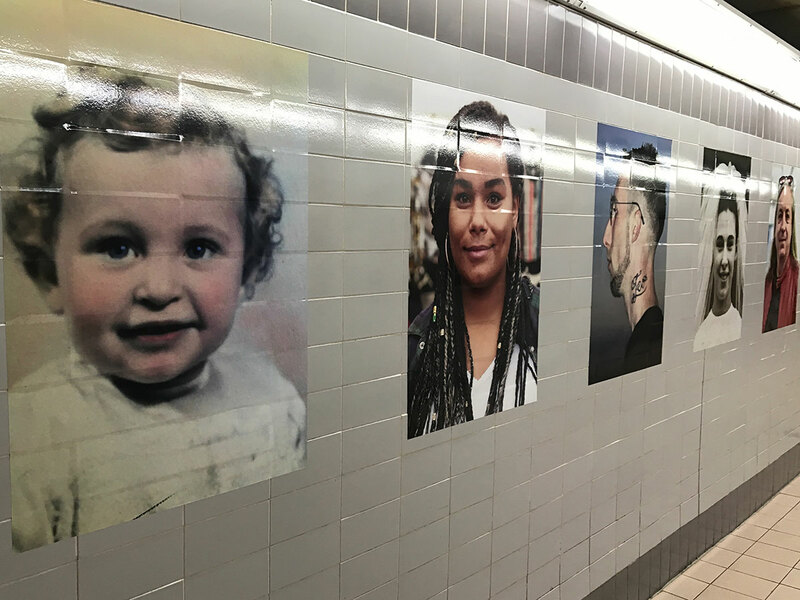 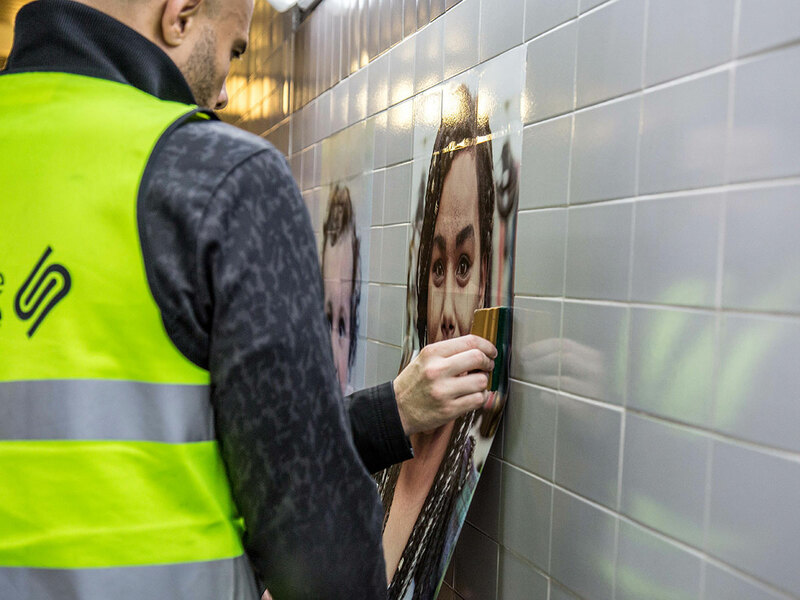 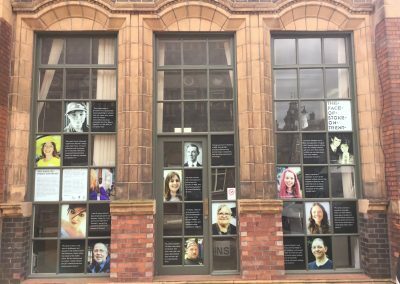 The People’s Picture – run by award-winning artist Helen Marshall – was commissioned by SOT City Council to create the artwork, working alongside local arts organisation B Arts. 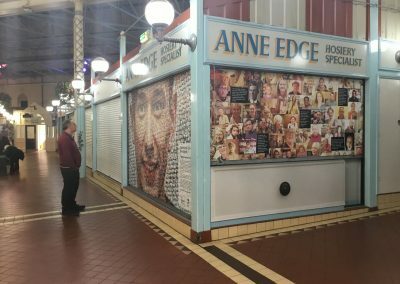 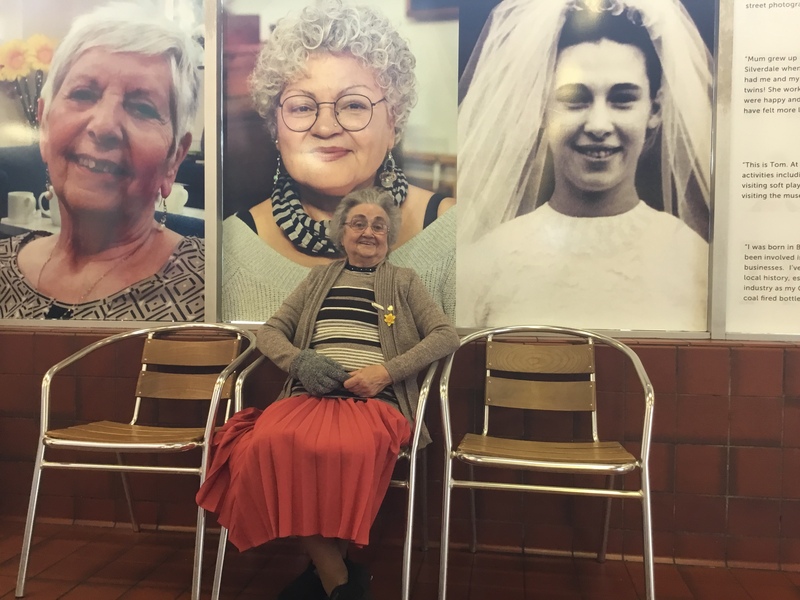 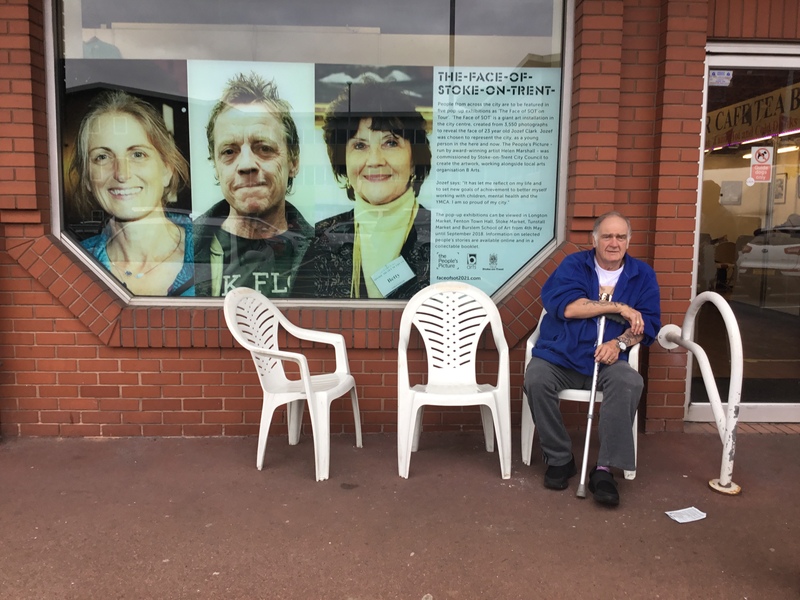 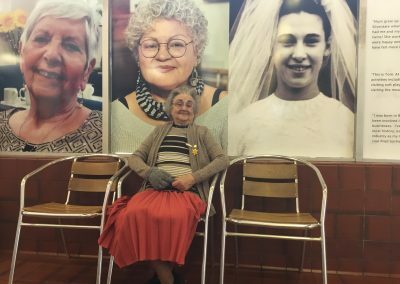 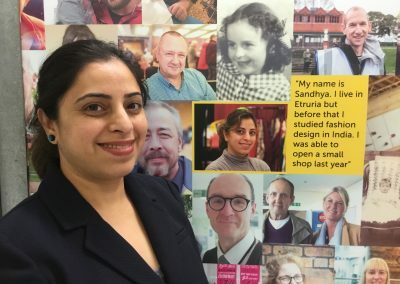 The pop-up exhibitions were featured in Longton Market, Fenton Town Hall, Stoke Market, Tunstall Market and Burslem School of Art from May until September 2018. 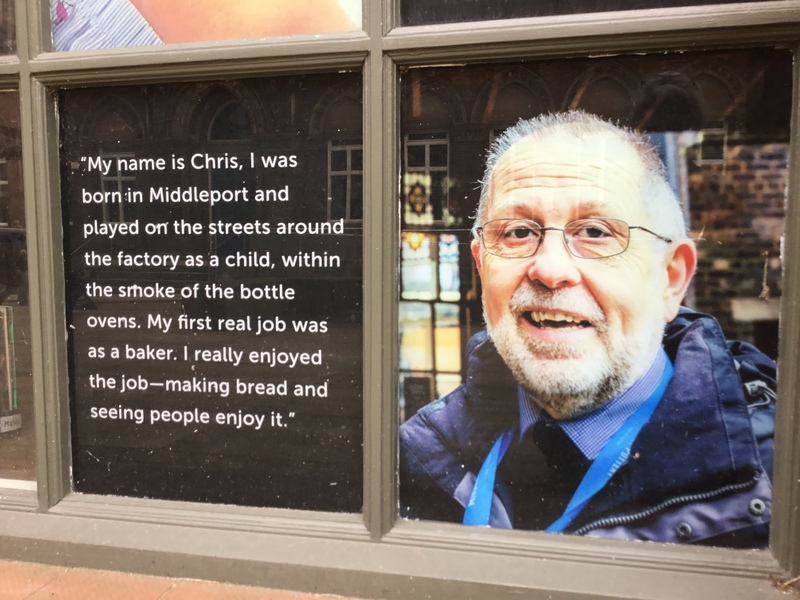 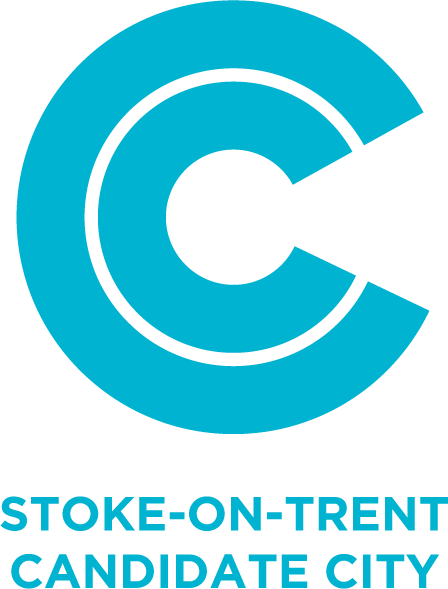 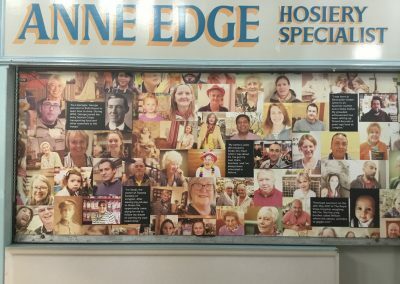 A whole range of different people from Stoke and their stories were featured from zookeepers to pottery workers with ages ranging from 6 months to 82 years. 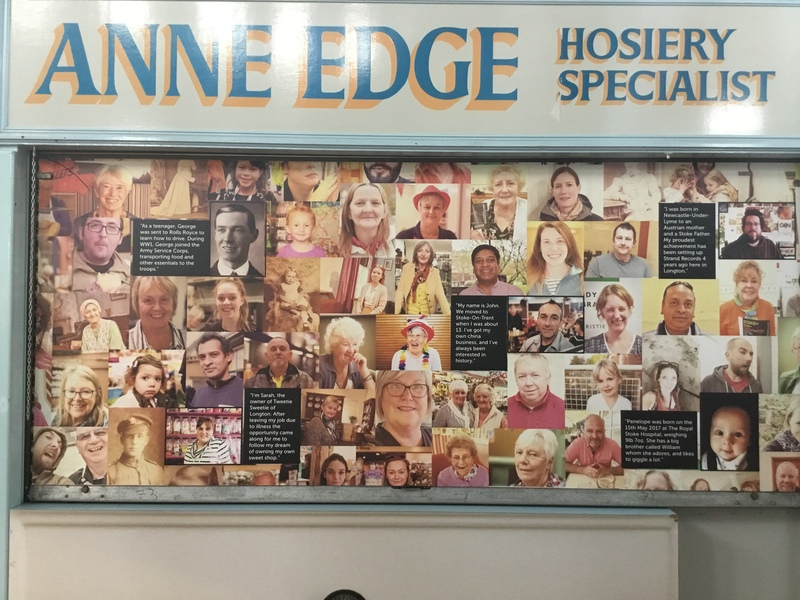 Information on selected people’s stories is available online and in a collectable booklet. 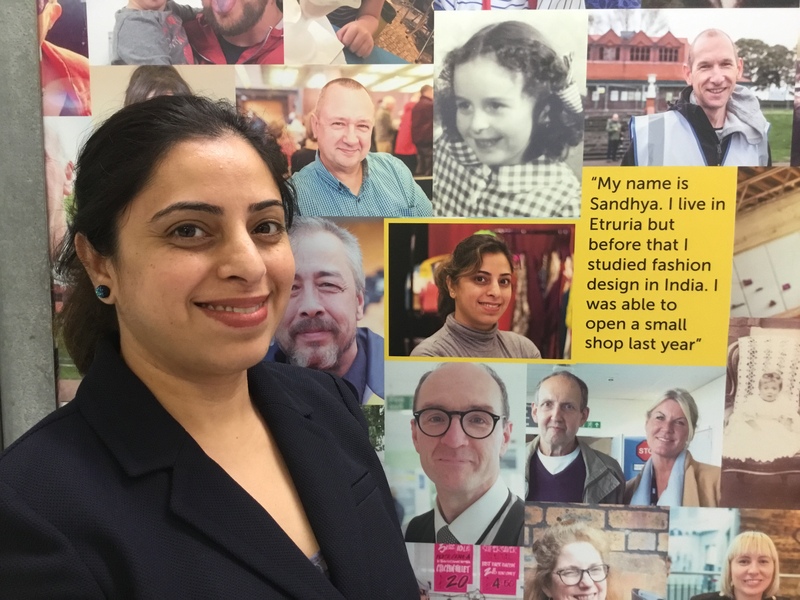 To view the booklet click here.